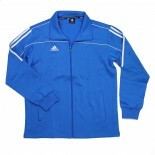 Adidas Track Jacket Great for competitions, the gym, and beyond. Full length zipper on the front, two zippered side pockets, and elasticated wrists. Adidas logo over the right chest, and stripes from shoulder to elbow. Available in three colors. 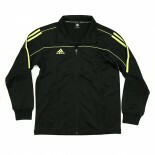 Material: 95% Polyester 5% Polyurethane Color: Black/Lime Size: XXXS, XXS, XS, S, M, L, XL ..
Adidas Track Jacket Great for competitions, the gym, and beyond. Full length zipper on the front, two zippered side pockets, and elasticated wrists. Adidas logo over the right chest, and stripes from shoulder to elbow. Available in three colors. 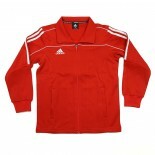 Material: 95% Polyester 5% Polyurethane Color: Red/White Size: XXXS, XXS, XS, S, M, L, XL ..
Adidas Track Jacket Great for competitions, the gym, and beyond. Full length zipper on the front, two zippered side pockets, and elasticated wrists. Adidas logo over the right chest, and stripes from shoulder to elbow. Available in three colors. 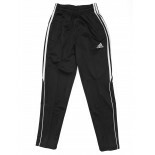 Material: 95% Polyester 5% Polyurethane Color: Blue/White Size: XXXS, XXS, XS, S, M, L, XL ..
Adidas Track Pants Great for competitions, the gym, and beyond. Toggle tighteners around the ankles, two zippered side pockets, and elasticated waist. Adidas logo on the right thigh, stripes below the waist and above the knees. 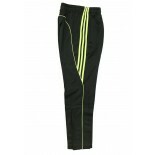 Material: 95% Polyester 5% Polyurethane Color: Black/Lime Size: XXXS, XXS, XS, S, M, L, XL ..
Adidas Track Pants Great for competitions, the gym, and beyond. 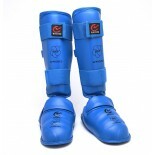 Toggle tighteners around the ankles, two zippered side pockets, and elasticated waist. Adidas logo on the right thigh, stripes below the waist and above the knees. 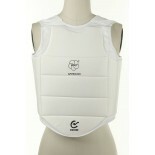 Material: 95% Polyester 5% Polyurethane Color: Black/White Size: XXXS, XXS, XS, S, M, L, XL ..